Meghalaya Magic Tour is a surreal journey allowing tourists to experience the most important eco tourism circuit in India. The journey begins from Guwahati and takes tourists from Shillong, the capital and the gateway to the natural treasures of Meghalaya. From there, the tourists are taken to the second wettest place on the Earth, Cherrapunji and thickest forests of Mawlynnong. Here, they can spot the Living Root Bridge, which is a naturally suspended bridge grown from the roots of ficus elastica tree. Dawki, the next destination is a delight for adventure lovers, providing them an exciting natural backdrop for an active trek or camping. Upon arrival in Guwahati, meet representative who will transfer you to the hotel for overnight stay. In the evening, visit Srimanta Sankaradeva Kalakshetra for experiencing a cultural evening. Overnight in Guwahati. Early morning breakfast and proceed towards the capital of Meghalaya, Shillong (100 km/2 hrs). En-route visit Umiam Lake, one of the prominent attractions of Meghalaya. Optional water sports like water cycling, kayaking, scooting and boating can be availed at Umiam Lake. After the active excursion, proceed towards Hotel Pinewood for lunch and rest. In evening, visit Don Bosco Museum of Indigenous Cultures. This is a seven storey museum showcasing the heritage of the entire North Eastern Frontiers of India under one roof. Overnight in Shillong. After breakfast, continue the Meghalaya Magic tour to Cherrapunji (54 Km/2 hr); the second wettest on earth and the rainiest in India. Visit the Mawphlang Sacred Grove which is bestowed with an amazing flora featuring plants, flowering trees, orchids, butterflies and is an ideal eco tourism destination. 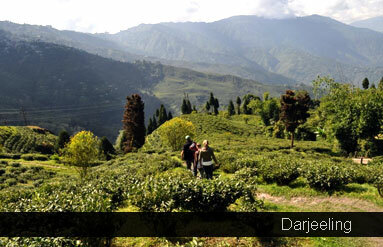 Continue the day’s mesmerizing excursion with a visit to Cherrapunji waterfalls and caves etc. Overnight in Shillong. Begin the morning with a drive to Mawlynnong Village (97 km/3 hrs.) 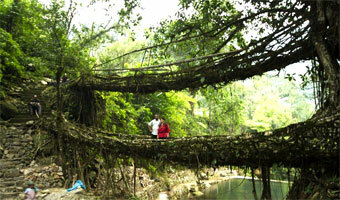 to see Living Root Bridge, one of the iconic attractions of Meghalaya. Walking on the suspended natural grown bridge is another exciting experience in the state. Continue the day with a visit to Dawki (30 Km/1 hr.) known for its many adventure camps and adventure activities. Drive from Dawki to Shillong (82 Km/1.5 hrs.). Overnight in Shillong. 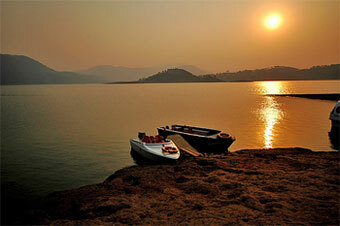 Sum up the Meghalaya Magic Tour by checking out Shillong and continue drive from towards Guwahati (100 Km/2 hrs.) to board the flight for onward destination.